Creatively Blended Beard Oils & Balms for Man Care. Scented & Soothing Small Batch Goods for Grooming. Who better to develop a line of bread care for men than a man with a beard with a passion for handmade, small batch goods? 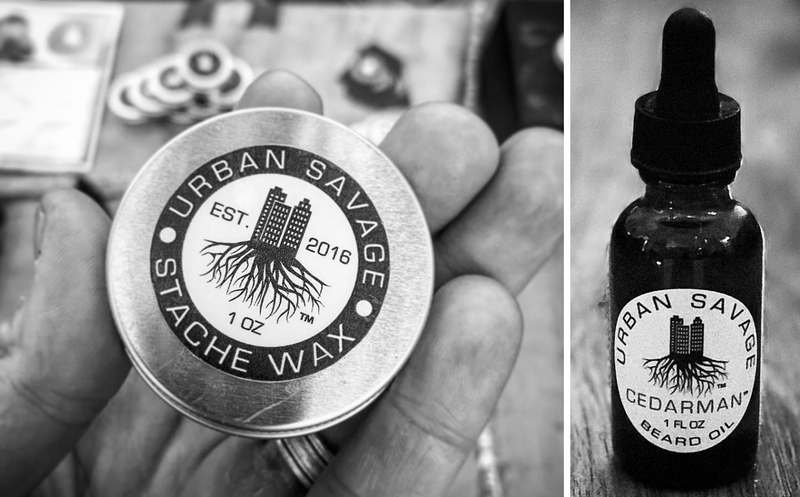 Let me introduce you to Kevin Dyer of Urban Savage Beard Care. His mission is help guys keep their facial hair well groomed, and he's spent years perfecting several signature recipes. Each of his oils and balms is designed to soothe the skin underneath and shine the beard for a polished look. 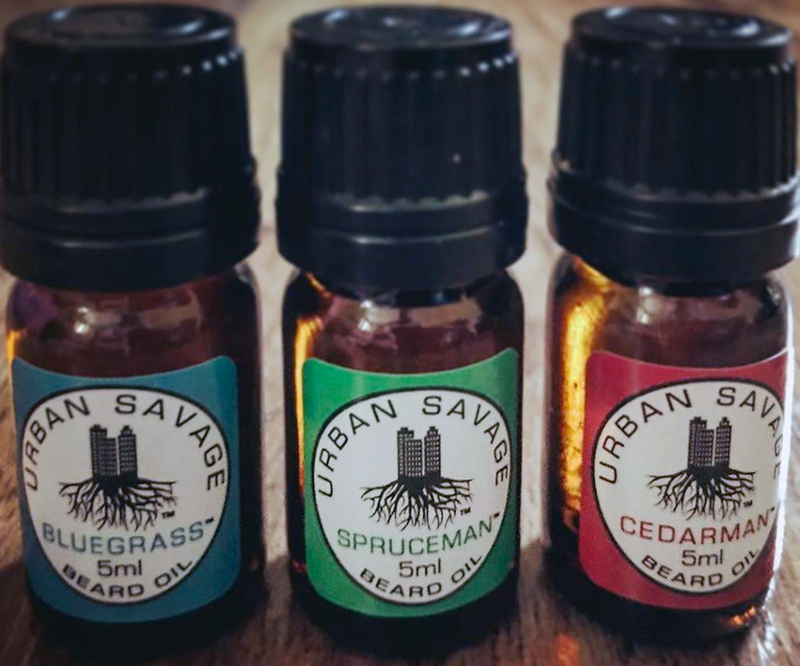 While he's always testing out new combinations, Kevin's bestsellers today are Spruceman, Cedarman and Bluegrass. These have clean, calming scents, making strategic use of essential oils. Urban Savage products are all natural and make great gifts for guys. You can find Kevin at a number of pop up markets around Austin, including some he has helped organize thanks to his passion for supporting handmade businesses. Like all true entrepreneurs, Kevin is adept at finding a need and then figuring out how to fill it, from beard care to shopping local!